Do you know someone who’s had an abortion? Are you having trouble knowing what to say? Do you want to let them know you care? Remember, each person’s experience with abortion is unique. These e-cards were created to address the range of experiences people can have with abortion. 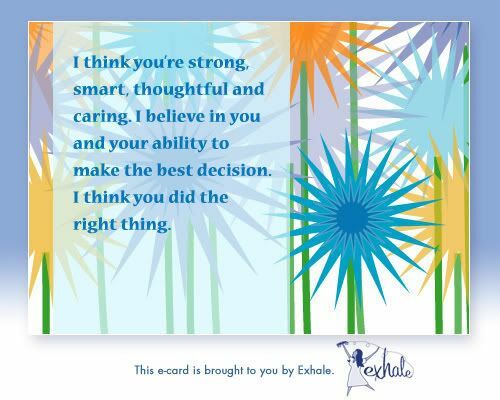 As you consider which e-card to send, think about the person you are sending it to. What do they need to know? What are they feeling? What message will provide the most comfort? Each card is provided in English and Spanish. Click a link below any card to select the one which you would like to send. See them for yourself here.